Just about three full months into 2017 and there have been a litany of great records. In that massively overcrowded field, there were still several records — full-lengths, compilations, EP’s, or otherwise — that managed to stand out. Below are 10 of the most gripping releases to have emerged in 2017’s first quarter, each making an impression that was felt, intensely, for one reason or another. Read about some of those reasons below and listen to each record in the selected embed (just make sure they’re all at the beginning of the record when you hit play). Enjoy. Last year, Mo Troper put out a proper solo debut full-length, Beloved, which was one of five to receive this site’s Album of the Year designation. In February, Troper unleashed a new collection of songs that’d been written over the past several years and further solidified a status as one of this generation’s premier powerpop songwriters. Not a note’s out of place, the atmospherics serve the song, the melodies are earworms that last for days, and there’s an abundance of feeling driving another outstanding collection. Young Jesus‘ name has appeared on this site several times over and John Rossiter‘s been a valuable contributor to the A Year’s Worth of Memories series. Last year, small batches of collections were being released under the Young Jesus name before being pulled because they weren’t full band efforts; all of those songs were Rossiter solo efforts. Thankfully, they recently re-emerged in a gorgeous compilation that ably, compellingly, and movingly demonstrates Rossiter’s formidable songwriting talents. Easily one of the best releases of 2017’s first three months came in the form of an EP from Yucky Duster, a basement pop band that, seemingly impossibly, keeps finding ways to improve on each successive release. Duster’s Lament is the band’s finest work yet and continues drawing them even closer to attaining outright perfection. All five of the songs the band has on display here manage to be simultaneously carefree and incredibly memorable, entwining two aesthetics that are too frequently at odds. It’s masterful. A very early Album of the Year candidate, Fred Thomas‘ Changer saw the acclaimed songwriter continuing to elevate his craft in astonishing fashion. Easily Thomas’ sharpest lyrical effort to date, there’s also an urgency to these songs that push them forward with sincerity, feeling, and an irrepressible need to get these statements out into the world. Musically, it’s Thomas’ most ambitious work to date by a considerable stretch and, overall, a triumph bearing a magnitude and scope that’s impossible to ignore. 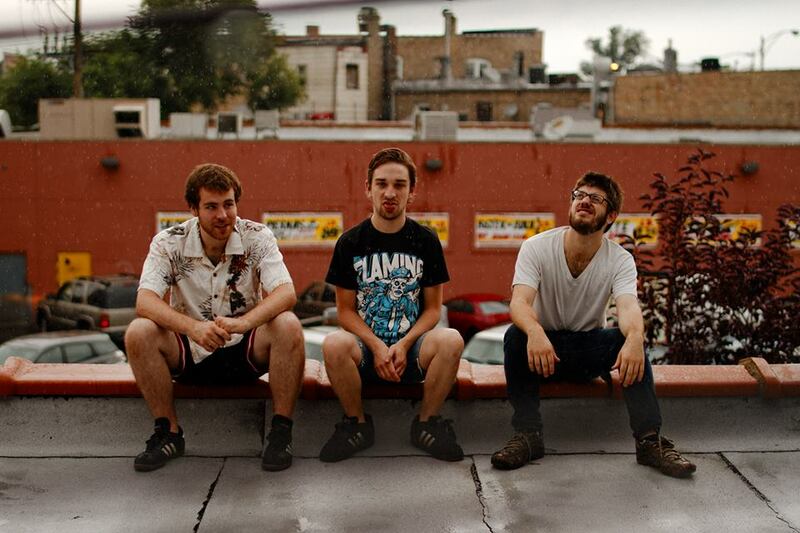 Cloud Nothings‘ discography, up to this point, has been littered with superlative releases. When a band achieves that kind of consistency, it’s fair to have high expectations for their new releases. Still, Life Without Sound, the band’s latest, manages to transcend its anticipation and wind up as not only the band’s most ambitious and inventive release but, somehow, its most representative as well. All of the bands eras are fused together here to create a spellbinding work that’s proven to be difficult to forget. There are a handful of concept records that are widely regarded as some of the greatest releases of all time, despite some hamfisted tendencies. Meat Wave‘s The Incessant side-steps both the trappings of concept records and their characteristically overbearing nature by releasing a collection of acutely pointed missives dealing with one specific topic: the swirling vortex of incoming emotions after a life-altering event. The result is a record that serves as the band’s most abrasive, ambitious, and intense effort to date. Upon learning at least one member of Kvelertak was in Beachheads, the band’s debut full-length came as a joyous-yet-jarring left turn. Trafficking in sunny powerpop that takes most of its cues from the genres forebears, Beachheads wound up being a deeply unexpected delight. Every song on Beachheads boasts sublime moments and evokes the sort of open-road-and-sunshine aesthetic that’s been so vital to the genres most enduring classics. Beachheads give that aesthetic a slightly modern spin and wind up with a summery gem. Patrick Jennings has been directly responsible for a lot of the music that’s hit me the hardest over the past seven years so news of a solo project was very welcome. Unsurprisingly, given Jennings’ track record (and what he’d accomplished with both Hot New Mexicans and PURPLE 7), Earth Angel is an incredible work. One of the best records likely to be released in 2017, Earth Angel is a quiet, brilliant, and unassuming encapsulation of what’s made Jennings such an essential (if woefully overlooked) voice in today’s music landscape. Ever since 2010’s self-titled effort, Stef Chura has been steadily improving, perfecting a strand of punk-tinged basement pop that’s immensely appealing. Messes, Stef Chura’s latest, is the most perfect distillation of this brand of music the act’s offered up yet, thanks in part to the contributions of Fred Thomas (who, as this list indicates, is on a white-hot streak of great releases). Still, Thomas’ contributions wouldn’t mean nearly as much if the source material wasn’t so involving. Messes is the sound of an artist coming into their own and, as a result, the work present on the record winds up being antithetical to the record’s title. One of the most intriguing releases of 2017’s earliest stretch came in the form of Rick Rude‘s sprawling, shape-shifting Make Mine Tuesday. Easily the band’s boldest — and best — release in a very strong discography that was uniformly unafraid to take risks, Make Mine Tuesday succeeds as both a masterclass in forward-thinking composition and as a record with immense replay value; these are intricate songs that never seem to get old or become any less engaging. A scintillating mixture of wiry post-punk and basement pop, Make Mine Tuesday finds Rick Rude reaching unprecedented heights. One can’t help but wonder, especially after a release like this one, if they’ll ever return to earth. Not too long ago, PURPLE 7’s extraordinary full-length debut was discussed in of one of these pieces thanks to album standout “Wise Up“. Shortly after that piece ran, the whole record wound up ranking highly in this site’s year-end list. The band’s already followed up that scintillating effort with another full-length that scales back some of the frenetic energy but ups the impact value. From “Company” on, Garden Eyes throws a bevvy of punches, landing blows with rapid succession. Most songs on the record hover around the two minute mark and the trio makes the most of their already-established basement pop dynamics. There’s a new bent to the proceedings that feels more rooted in classic rock n’ roll records than the band’s preceding material but it suits them well. Every song hits its mark and ensures PURPLE 7’s position as one the more beloved acts on the DIY punk circuit. Garden Eyes is just another generous gift. Listen to Garden Eyes below and pick it up here. Beneath the embed, explore a list of some of the best full streams to have appeared over the past several months. [EDITOR’S NOTE: Due to the nature of these upcoming posts, a truncated version of this introductory paragraph will be appearing over the next several installments of this series.] It’s been quite some time since the 100th edition of Watch This went up on this site. There have been a lot of factors going into the extended interim but, as usual, a focal point of that absence was to make sure the preparation work was kept up to date. A lot of extraordinary live videos have come out since then and to make this point abundantly clear, here’s a list of artists responsible for performances that didn’t quite make it into the featured five slots over the course of the past handful of weeks: Ride (x2), Josh Ritter (x2), Radkey, Marrow, Seratones, Hooton Tennis Club, Kurt Vile (x2), Indian Askin, Amason, Eden Mulholland, Bobby Bare Jr. (x2), Hanna Asbrook, Lucy & La Mer, Lee Corey Oswald (x2), Wastrels, The Cairo Gang, Wild Ones, Martin Courtney (x2), Small Black, Timeshares, Shopping (x2), The Jacques, Mac McCaughan & the Non-Believers, Raw Pony, Andrew Bird, Air Waves, Izzy True (x2), The Tallest Man On Earth, Elliot Moss, Hemming, Titus Andronicus, Kagoule, Django Django, Summer Cannibals, Lost Lander, Emilie & Ogden, Denai Moore, EL VY, Purple 7, John Grant, Caleb and Carolyn, Fraser A. Gorman, The Besnard Lakes, Charly Bliss, Delta Spirit, Joanna Newsom, Oaks, Kevin Garrett, Brilliant Beast, Blitzen Trapper, The Saturday Tea, Other Lives, Rayland Baxter, Low, Speedy Ortiz, Chilly Gonzalez, Murder Shoes, Ava Luna, bAd bAd, Oberhofer (x2), Aye Nako, Jason Isbell, Superbee, Deerhunter, The Ghost Ease, Oscar, Rachel Goodrich, Small Feet, Lucero, Totally Mild, Ukryte Zalety Systemu, Soda Bomb, Jens Kuross, Caspian, Boytoy, Duncan Sheik, PISTA, Slim Twig, Shamir, Contrails, King Gizzard & The Lizard Wizard, Courtney Barnett, The Chameleons Vox, Vundabar, Vagabon, Craig Finn, and Soda Shop. Based on the strength of those clips, it’s probably unsurprising that some of the year’s best live captures have also surfaced in that time. Full sessions, single song performances, DIY videos, and impressive turn-ins from radio stations abound. So, as always, sit back, adjust the setting, crank the volume, focus up, and Watch This. No record in 2015 has hit me as hard and as consistently as O.K., a deeply felt masterpiece from Eskimeaux. A record I’d liked upon first listen and warmed to progressively over time, it wasn’t until I saw those songs played live that everything seemed to click. Audiotree was fortunate enough to have the band in for a recent session and wound up with what may come to be regarded as the definitive live recording of this era of the band. The performances are uniformly strong and the songs remain spectacular. Simply put: this is unmissable. Likely the only 2015 record to rival O.K.‘s emotional impact is Julien Baker‘s arresting breakout effort Sprained Ankle. With a title track that easily ranks among the year’s finest songs, Baker’s latched onto something genuinely captivating. It’s myriad strengths were emphasized with a gorgeous music video and are once again brought to the fore with this painfully gorgeous live performance. It’s a triumph for one of music’s most promising emerging talents. In a manner not too dissimilar from Eskimeaux, Slothrust was another band that sold me further on material I’d already liked via the strength of their live show, It’s not surprising, then, that their session for Jam in the Van winds up being one of that series’s strongest entries in months. Topping everything off is a typically strong take on “Crockpot”, which continues to stand as one of the strongest songs of recent memory. Has anyone appeared more times on Watch This throughout the course of 2015 than Torres? Mackenzie Scott’s project continues to turn in spellbinding performances at an alarming rate but, even with that being the case, this version of “Strange Hellos” manages to stand out. Shot as part of Hooke Audio’s live sessions series that challenges artist to re-interpret their material, “Strange Hellos” gets transformed into a jaw-dropping ambient number that may wield even more of a punch than the studio version. It’s a startling reminder of Sprinter‘s most powerful moments. If anyone’s appeared on the 2015 run of Watch This as many (or more) times than Torres, it’s site favorites Girlpool. Harmony Lebel-Tividad and Cleo Tucker put together one hell of a run this year, highlighted by their extraordinary full-length debut Before The World Was Big. In a nine-song session, the duo makes their way through the majority of that record and “Soup”, one of the new numbers they’ve been road-testing on their last few tours. As ever, the performances are assured and showcase the near telepathic connection the band’s developed over the past few years. They’re an act that seems poised to get stronger as they go, which is more than a little impressive considering they’re already one of the best bands currently making music- and this Pressure Drop session serves as proof. “2015 has been a monstrous year for new music”, or some deviation of that phrase, has become a refrain that continues to gain strength as the year progresses. We’ve already tackled a long list of the first quarter full lengths that captured our attention but, as is the case with any year, April afforded a chance to get caught up on some titles while the new ones kept emerging. I genuinely wish I had the time to go over all of these titles in details (and I may wind up expanding on a few of them when December rolls around) but, unfortunately, time’s proving to be a cruel factor. Over the first four months of the year, I was committed to a full-time position and then navigated the slow exit from that position in order to pursue a move to Brooklyn. During that time span, I was collecting everything as it appeared and began to pitch out to larger publications. At one point I was working an average of 75 hours a week. I made sure to never lose sight of new music and began compiling a list of the things I came across that I genuinely loved. Whether it be something regional like Strange Relations’ -Centrism, something highly publicized like METZ’s II, any number of records from bands that have earned the tag “site favorite” (Speedy Ortiz, Sheer Mag, Purple 7, Courtney Barnett, Mikal Cronin, etc), or something that should have picked up more press than it did (Mittenfield’s Optimists, Bent Denim’s Romances You, etc), there were a lot of records that deserved to be fully featured. Hell, there are even a handful that are going to be running on the ensuing post- but 75 already feels like a scary number for one list. That being the case, it’ll be impossible for someone to listen through to all of these titles in one sitting. It’s best left as a bookmark, something to return to for the purpose of exploring. It’s a list that isn’t restricted to just one genre, it covers close to the entire gamut of the styles of music that regularly get featured on this site, meaning you’re bound to find something you love buried in the wealth of titles. So, explore at will. Buy the titles that catch your ear and keep celebrating great art. Soda Bomb – Wanna Jam? 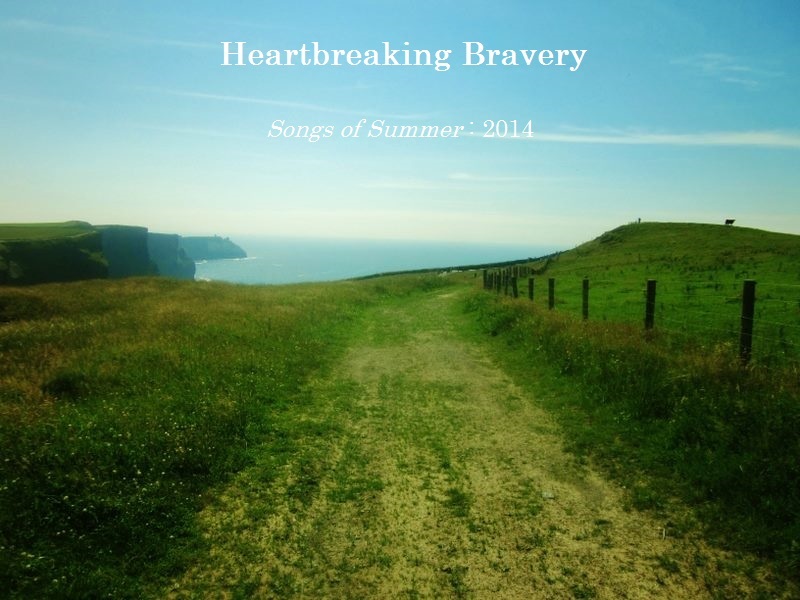 For a while now, I’ve been teasing Heartbreaking Bravery’s brief transition to full-blown catch-up mode. And, well, that time has come. Each of the ensuing posts will contain so much more than just the song, video, or album in the headline. Single songs will each come equipped with a list of 75 other great tunes to have appeared in 2015. A new music video mixtape will be arriving shortly as well as several other mixtapes to re-ignite the Watch This series, which time dictated be temporarily relegated to the sidelines. A lot of things will be heading in a lot of directions in the coming months so coverage may be sporadic but I will be damned if I let this site out of my thoughts and intentions for even a second. With all of that noted, it’s time to get back to what drives this site’s existence: legitimately great art propelled by a DIY ethos. A lot of incredible music has emerged over the past several weeks with gems arriving every day (extremely recent company includes Eskimeaux, Sharpless, Flagland, Flyying Colours, Mitski, Upset, and so many more) so selecting one to feature has become an unenviable task- but sometimes history makes it easy. I was fortunate enough to hear some roughs of a band called Downies towards the start of the year and it immediately became one of my favorite releases, something that came as no surprise considering the group’s pedigree (I’ve yet to come across a LVL UP-affiliated project that I dislike, which can also be said of Porches.). Pushing things over the edge was the fact that Downies came off like a version of Purple 7 that was even more pop-happy but sacrificed none of that band’s considerable punch. That exhilarating dynamic is perhaps most present in “Widow”, the band’s recently-unveiled warning shot. On its surface, it’s a frantically paced gut-punch that’s forceful enough to stop just about anyone in their tracks. Live, it’s a firecracker that seems hell-bent on total destruction. Stripped back to its bare essentials, it’s a song driven by a troubled subtext that’s directly hinted at in the title. Even setting aside the dissections of its particulars, “Widow” is a staggering show of force from a band that deserves to be ushered in with a high level of excitement. Listen to “Widow” below and keep an eye on this site for continuing coverage of the band and the upcoming EP that houses this song. Beneath that is a list of 75 incredible songs that I wish I could attribute more words to, as they truly deserve to be held in praise, but- at this point- there’s simply too many items that have amassed. Soon, the site will be caught up and current releases will be accounted for as they enter the fold. For now, enjoy “Widow” and a long list of treasures. Let’s Pretend Records are one of the most consistent record labels in America, yet their releases are niche enough that they haven’t had an act break through to a wider audience. While it’s unlikely that day will ever come (though it’d be welcome if it did), they’re probably better off for it. Between Vacation, Dead Dog, Treasure Fleet, PURPLE 7, Tight Bros, Vånna Inget, Kicking Spit, and Nervosas, they’ve had a direct hand in some of the very best records of the last few years. Now, to extend their unlikely winning streak, the label’s partnering up with Rad Girlfriend Records to release Two Houses’ Disappointer 7″. Operating in a left-field punk-leaning basement pop vein (a la Cheap Girls, Sundials, The Sidekicks, etc. ), the Chicago-based trio’s crafted an unlikely collection of songs, highlighted by the title track. While all of the songs include unexpected passages, it’s “Disappointer” that twists and turns the most, making room for atmospheric riffing, surprisingly effective syncopation, and a very strong lyrical outing that underscores how arresting blending miniature vignettes into something whole can really be. It’s an incredibly strong moment that defines what’s easily the band’s finest offering yet. Listen to “Disappointer” below and pick up a copy of the EP here.